*SCROLL DOWN TO SEE REWARDS! This event has been confirmed! 120 Fans have pledged to makes this event possible. General tickets now available! 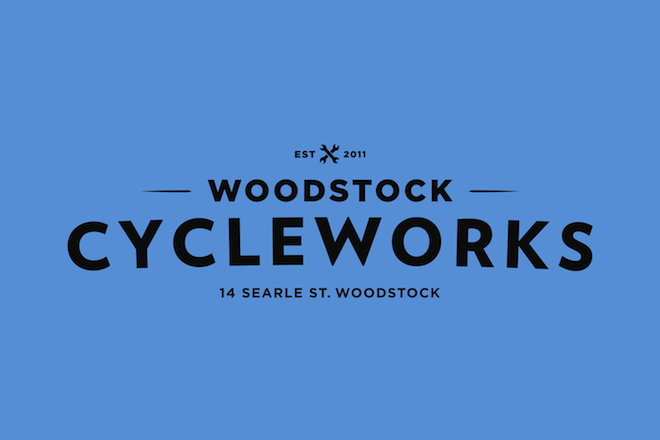 WOODSTOCK CYCLEWORKS IS OFFICIALLY OPENING THEIR BRAND NEW STORE AND THEY WOULD LOVE IT IF YOU COULD JOIN THEM TO CELEBRATE. There will be delicious food on sale from Didi’s Bitchin Burritos, Douw Steyn’s bicycle poitjie and delicious boerie rolls from the folks at Starling & Hero Bicycle Café. The fellas from Roastin’ Records will set the tone and make sure that the music is top notch. The Beer Merchant will make sure that you are never thirsty, Juicebox has a little surprise in store and you will help us make the world a greener place! * Winner must be present at draw to receive prize. Draw to take place at 20:00. 2. R80 off on your next bicycle service at Woodstock Cycleworks. Already worth the pledge! 3. Limited edition Bicycle Portraits poster. 4. Free Juicebox slushie or juice if you arrive on a bicycle, skateboard, any non-motorised transport or show your MyCiti card. 5. For every 20 pledges we receive we will donate a tree to GreenPop!